Union County and the surrounding region are fed by a healthy and diverse network infrastructure of transportation: by land, by air, by sea. Located strategically in the Carolinas—in a region bustling with new economic growth—Union County provides a multimodal range of transport options, with convenient access to air, interstate, rails, and ports. We are just a short drive or a quick flight from nearly every major metropolitan city in the southeastern United States. Just off the I-85 corridor—which connects the metropolitan cities of Atlanta, Greenville, Columbia and Charlotte—the region is also served by 3 major airports and has a major shipping port just 3 hours away in Charleston, South Carolina. Having a unique competitive advantage is the key to beating the competition. Served by five electric utility companies and two rail services, Union is a cut above the rest. A good highway system is an important factor in the location of any industry or business. Union County’s highway infrastructure includes access within 30 minutes drive time of I-26 and I-85. The County is within 1.5 hours drive of I-40, I-20, and I-77. The County is within a 2 hour dive of I-95. The major routes connecting Union County to these interstate highway systems are U.S. Highway 176 which is a four-lane divided highway which travels east-west connecting the County to I-85 in Spartanburg. South Carolina Highway 49 is a north-south trade route which connects the County to Charlotte, North Carolina 1 hour north, and I-26 and I-385 to the south near Clinton, South Carolina. Union County is centrally located between 3 commercial airports that offer more than 600 daily flights to domestic and international destinations. Union County receives rail service from Norfolk-Southern Railway and CSX Railway. Norfolk Southern links customers to worldwide markets. The railway operates approximately 21,500 route miles in 22 eastern states, the District of Columbia, and the province of Ontario. CSX operates 21,000 miles of track has access to 70 ports and the largest intermodal network in the U.S, and nationwide transloading and distribution services. 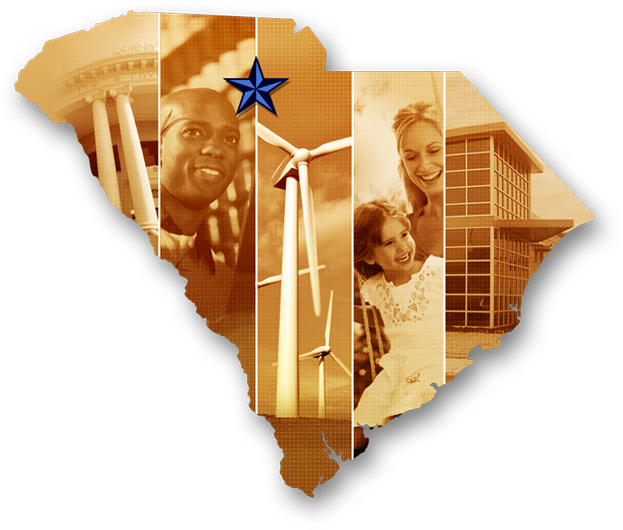 Located within 3 hours of Union County, the South Carolina Ports Authority serves as an international gateway for goods being exported and imported into South Carolina and the United States. In FY 2009, the SPA served 1,802 ships and barges at its seaport terminals in Charleston and Georgetown. The port of Georgetown serves as a dedicated breakbulk and bulk facility. For FY 2009, it handled 286,254 tons of cargo with steel, petroleum coke, and wood briquettes as top cargoes. 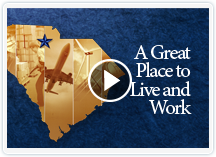 Located within an hour of Union County, the Port of Charleston’s reach is extended 212 miles inland to Greer, S.C., to provide shippers with access to more than 95 million consumers within a one-day drive.